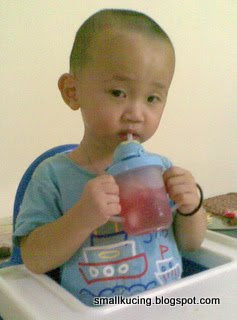 Mamarazzi could not forget the good taste of the Ribena Soda with Lemon drink that we shared at Kafe Little B.U. Thus she decided to "experiment" again. Hmmm...Only have Sprite at home wor. Tembak la. Add a lot of ice, some Sprite and some ribena. Yay...taste almost the same as the one at Kafe Little B.U. aiyo my old fav when in I was in London. 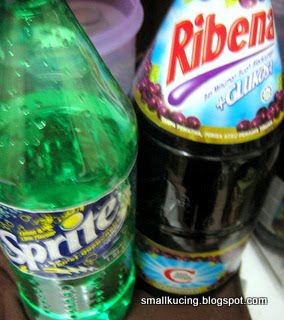 Ribena was cheap, so Ribe and fresh lime was superb!!! Oh.....new ribena recipe...wil giv it a try. this going to be a refreshing drink during heaty days. 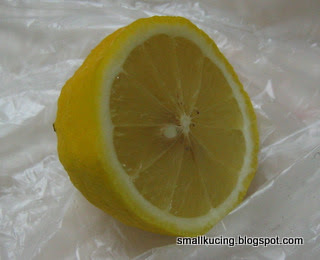 not to squeeze the whole lemon lah...just a bit only..for the taste and smell. wow, yummy!! and its addictive!! ayoyo.. i ransack my fridge n found no traces of RIBENA oso.. sigh.. must go to 1U to get some.. hahaha..
Can I have one? Feel thirsty after a heavy meal and still thirsty even drank a lot of water...maybe the Ribena Soda with Lemon will helps. Not sure is it the restaurant put too many msg inside the foods. Nice, I like to drink it that way too! LOL! Gosh... mocktail! LOL... I made this before too, and it's nice, nice, nice~ Now... I think I can come up with some real cocktail of vodka and o-ju. 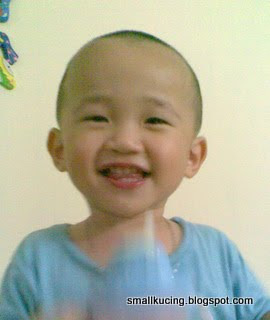 LMAO... Joshua, wan go mabuk wif auntie, bo? Come, come, Mamarazzi, let's go mabuk mabuk together over 'Screwdriver'. Den kan, maybe we can dance Hawaiian Hula like Stitch oso! Wah, nice. My ribena is sitting in the fridge, I think I have to find ways like you to get rid of it before expiry.